As promised, here are the links you can use to book onto our “comeback” events! 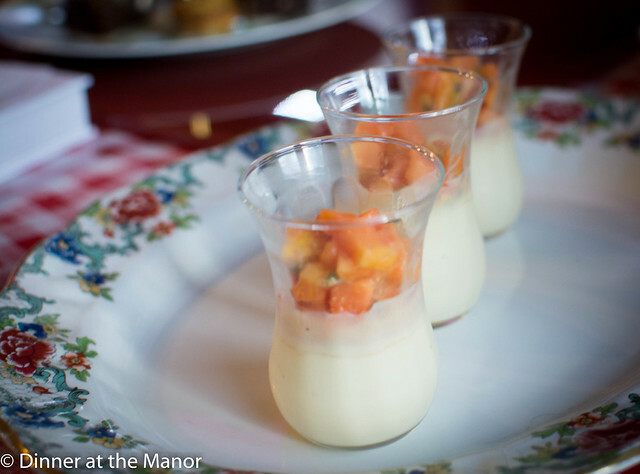 We’re so excited to get back into the kitchen and welcome our lovely diners back to the Manor! This entry was posted in Upcoming Events and tagged 2018 dates, Afternoon Tea, Dinner at the Manor, Leeds, Supper Club, supperclub, Underground Dining, Underground Restaurant, Yorkshire on July 25, 2018 by Susie Barker. 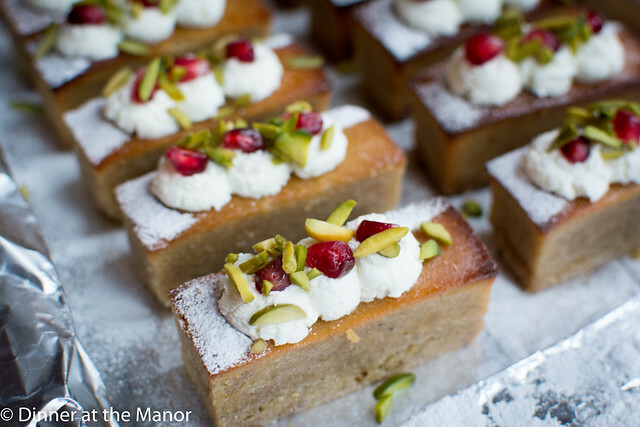 We have 2 spaces available for our Ottolenghi Sweet inspired afternoon tea this weekend, 18th November. We’ll be serving up a delectable selection of savoury treats and then, because we couldn’t decide, we’re baking up a seven sweet bakes, all washed down with a welcome drink and a selection of teas and coffee. The full menu is available here. If you’re interested in joining us, it’s £25pp, so get in touch using the contact us form! 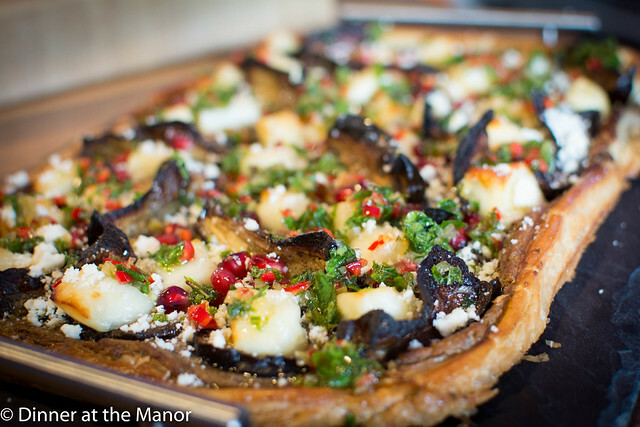 This entry was posted in Upcoming Events and tagged Afternoon Tea, Dinner at the Manor, Leeds, Middle Eastern Food, Ottolenghi, Supper Club, Undeground Tearooms on November 13, 2017 by Susie Barker. 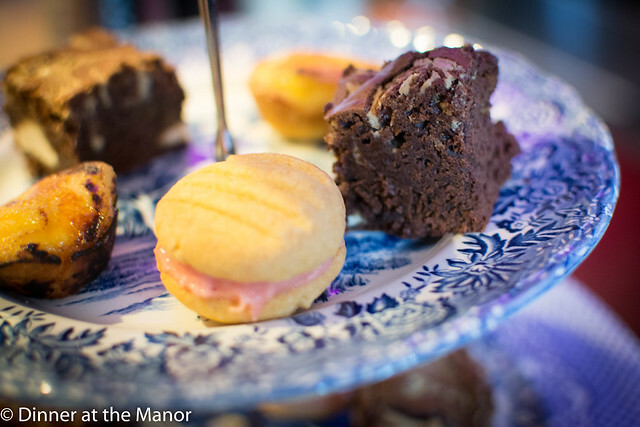 At the weekend we’ll be hosting what seems to be the first afternoon tea we’ve hosted in a long time! This event will be inspired by Yotam Ottolenghi and Helen Goh’s beautiful book Sweet and we’re very much going all out sweet for this one, serving up a delectable selection of seven sweet delights (plus some very tasty savouries to boot). This is one event we’ve really been looking forward to and we struggled to keep the sweet bakes to just seven items! So, here’s the menu. We’d love to know what you think. 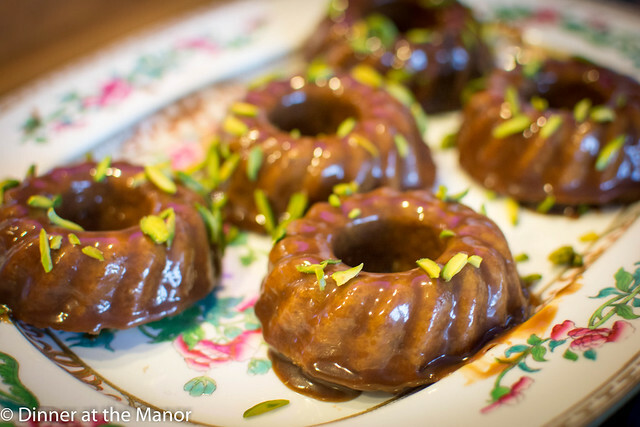 This entry was posted in Menus, Upcoming Events and tagged Afternoon Tea, baking, cakes, Middle Eastern Food, Ottolenghi, secret supperclub, Secret Tea Room, Supper Club, supperclubs, sweet treats, Undeground Tearooms on November 13, 2017 by Susie Barker. 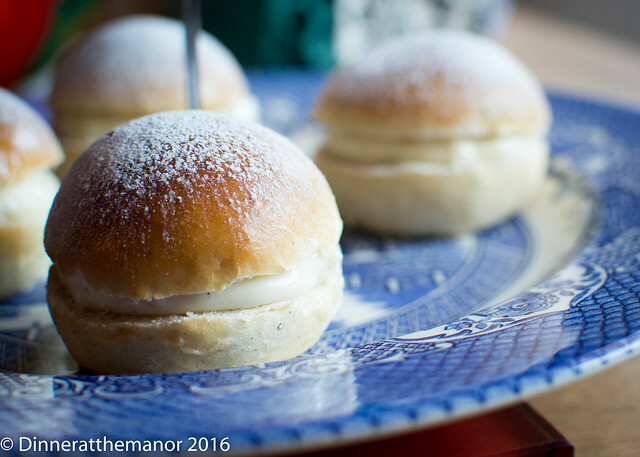 We dispelled all January blues a couple of weekends ago when we brought the wonders of Scandinavian fika and hygge to the Manor! Fika is a Swedish term for a kind of coffee break, a conscious pause in the day to stop, reflect and enjoy a liquid refreshment and baked good! Hygge is that intriguing Scandinavian term for all things cosy, except we don’t have an English word for it so it’s nigh on impossible to explain! We created a lovely afternoon tea using the new Fika and Hygge cookbook from the guys at London’s Scandi Kitchen and some of our other favourites including Scandilicious. Our adventurous diners were welcomed with a revitalising shot of aquavit – the Scandi water of life that comes flavoured with fennel and caraway. 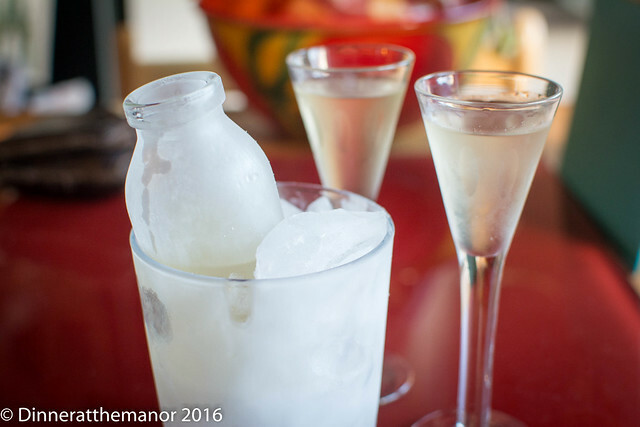 We served it Swedish style, over lots of ice and bitingly cold. 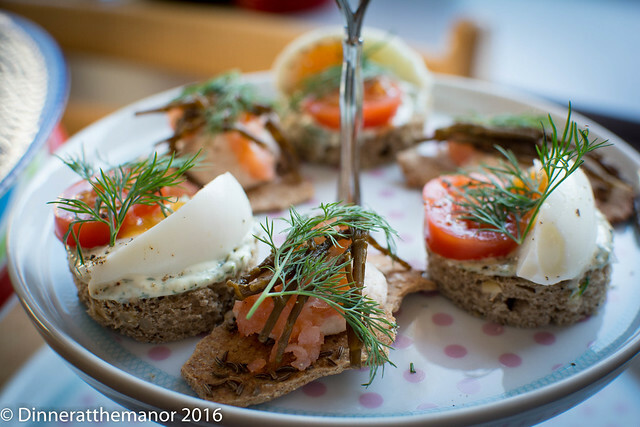 Our Nordic savouries included homemade rye crisp breads with caraway. These were topped with a soft gravadlax mousse and home pickled samphire – a creamy, salty and sour mini bite. Our rye bread open sandwiches came topped with a luscious dill mayonnaise, soft boiled egg and tomato. Also on offer was a creamy, decadent mushroom tart. 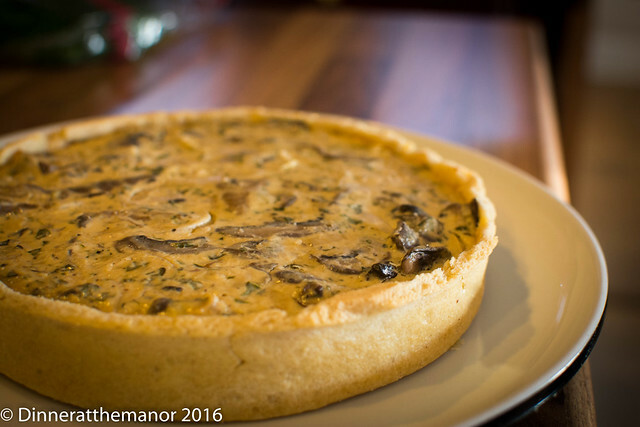 Mushroom, tarragon and shed loads of creme fraiche, baked and encased in a crisp shortcrust pastry shell. Finally was our take on Swedish meatballs! Little pork and fennel balls, with a dill and cucumber pickle and cranberry, wrapped in a soft home made brioche roll. For our sweets we tried to use some seasonal produce and also serve some slightly unusual bakes. For seasonality our first nod to fika was a cute little rhubarb and custard bun spiked with cardamom and drenched in rhubarb syrup. A last minute addition to the tiers was a lightly spiced gingerbread cake filled with a raspberry cream. We had initially intended for this to be a Danish honey cake square but having tried the recipe twice over we could not get it to work and so had to bake a last minute alternative! To make up for the lack of honey cake we also offered an extra treat in the form of a mini fig tart. 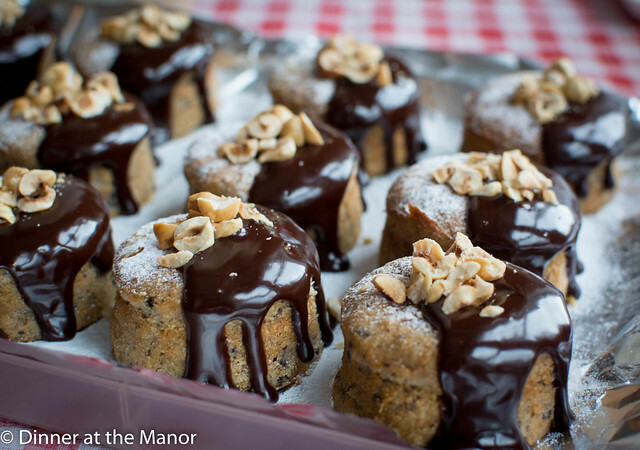 These were soft and chewy almond cakes filled with a lovely fig jam. If that wasn’t enough other fika treats included mini cardamom buns filled with almond custard. 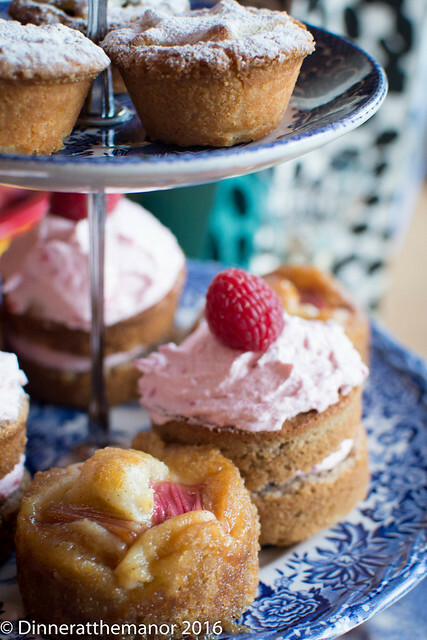 These buns are traditionally served at Easter – almost a baked Scandi version of a doughnut! To finish off was the traditional Swedish chocolate sticky cake, Kladdkaka. 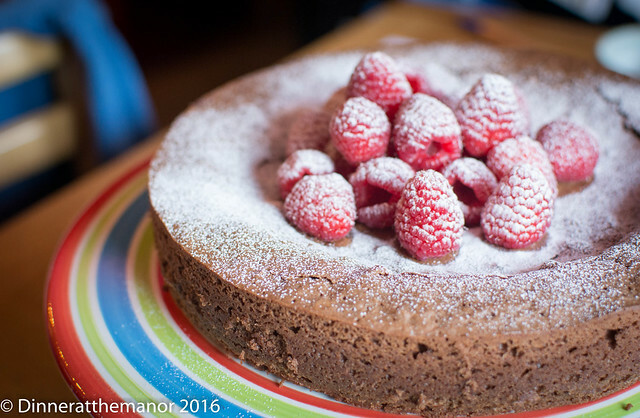 A rich, dense chocolate cake with a gooey centre. 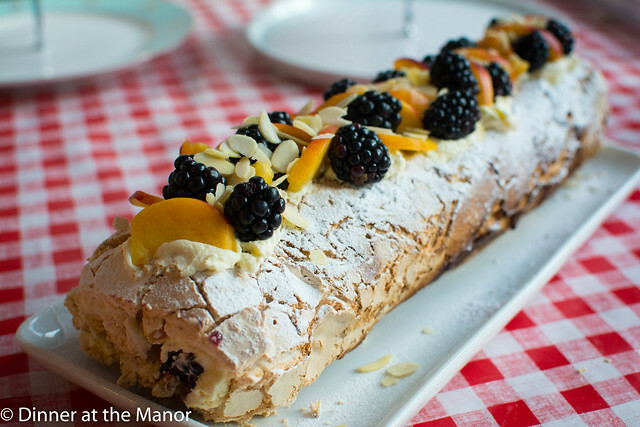 This was served with fresh raspberries and clotted cream to make it even more decadent! This entry was posted in Past Events and tagged 2017 Dates, Afternoon Tea, baking, Dinner at the Manor, Leeds, Scandinavian Food, secret supperclub, Supper Club, supperclub, Undeground Tearooms on January 24, 2017 by martinimanleeds. Happy New Year to you all! We’re feeling rested (albeit still hungover) after the festive break and in a week’s time we’ll be kicking off our 2017 events. Our first event of the year is an afternoon tea, using Scandinavian influences as our inspiration. 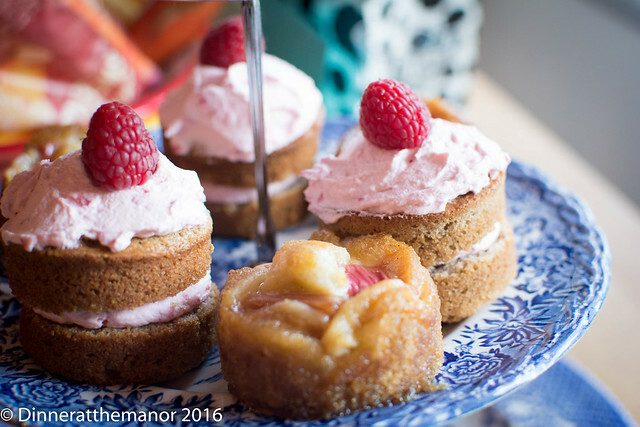 We’ll be inviting out guests to partake in some Fika within the Hygge surroundings of the manor. 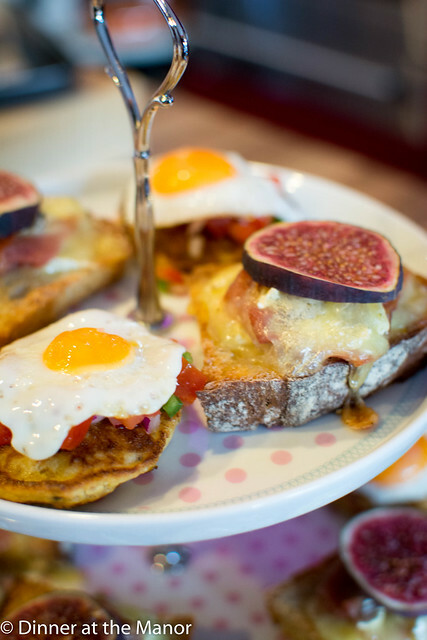 Think open sandwiches and rich bakes, this is a great way to start off the new year! 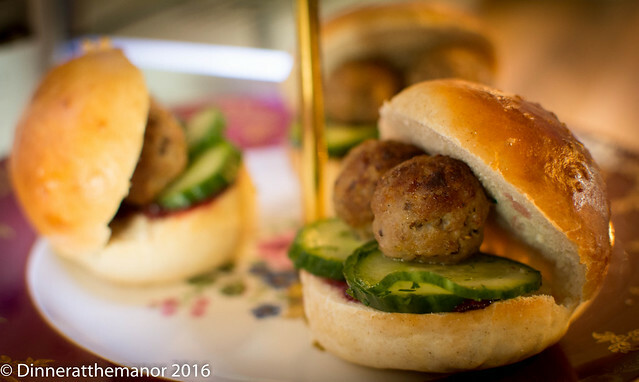 This entry was posted in Menus, Upcoming Events and tagged 2017 Dates, Afternoon Tea, baking, Leeds, Menu, Scandinavian Food, secret supperclub, Secret Tea Room, Undeground Tearooms, Underground Dining, Underground Restaurant, Yorkshire on January 7, 2017 by Susie Barker.